Duo Slim iPhone 7 battery case not only provides extra battery life for iPhone 7/7 Plus, but also delivers louder audio playback with a built-in speaker. Like the idea? Let’s continue checking. 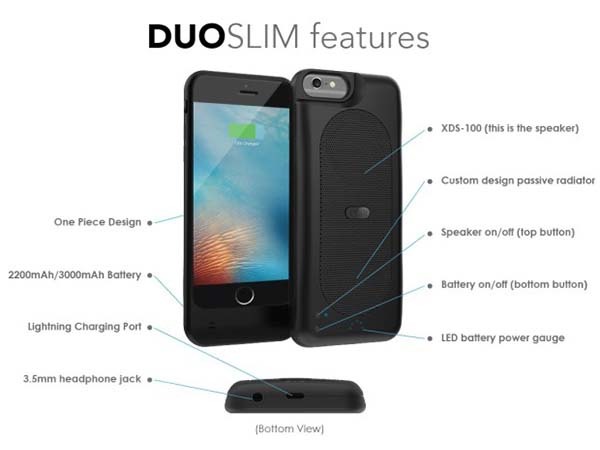 The Duo Slim is a multi-functional iPhone battery case that comes in two models for iPhone 7 and iPhone 7 Plus, and Duo Slim also backwards compatible with iPhone 6/6 Plus. The iPhone 7 case shows off a low-profile and slim appearance design, and the slim and smooth form factor with matte finish let you comfortably and firmly hold your phone in your hand. The iPhone 7 battery case comes equipped with a 2200mAh power bank (3000mAh for iPhone 7 Plus) in order to extend the battery life of your phone wherever you’re. 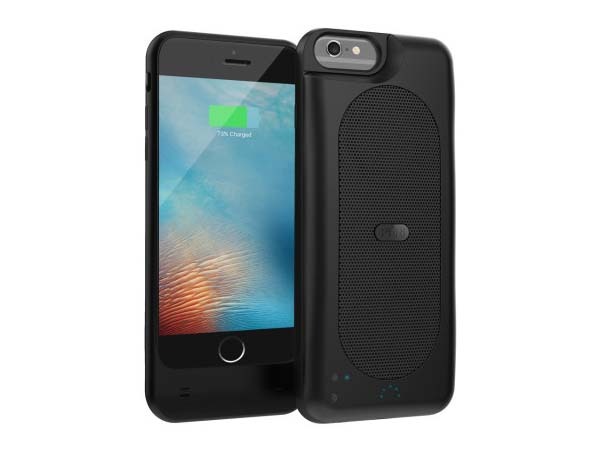 Furthermore, the iPhone case also features a built-in PERI XDS-100 full-range 3-watt speaker and custom passive radiator, and it works with your existing 3.5mm headphones with a built-in 3.5mm audio jack. Its integrated DAC converter is designed to provide enhanced headphone audio experience. The crowdfunding campaign for Duo Slim is ongoing on Indiegogo. You can pledge $39/$49 to preorder the slim iPhone 7 battery case. The two models would be shipped in October 2017 if reaching its fund goal.